Rollers and dispensers for watering the garden. Small or large models for hose lengths that are suited to the size of garden to be watered. Rollers for 15 mm or 19 mm garden hoses. 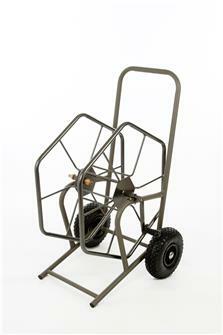 Hose reel for 70 metres of garden hose. Robust manufacture to easily reel and move your garden hose. Made in France. 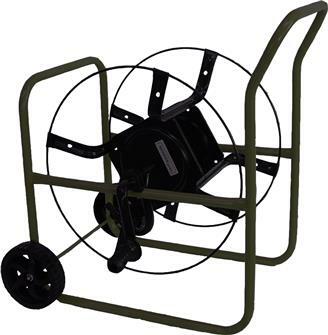 Garden hose reel with inflated wheels for reeling 200 metres of hose pipe. Comes assembled. Made in France. 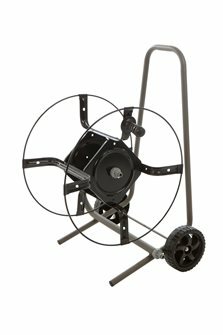 Sturdy hose reel for 70 m of watering hose. Easy reeling and transport of your garden hose. French manufacture.